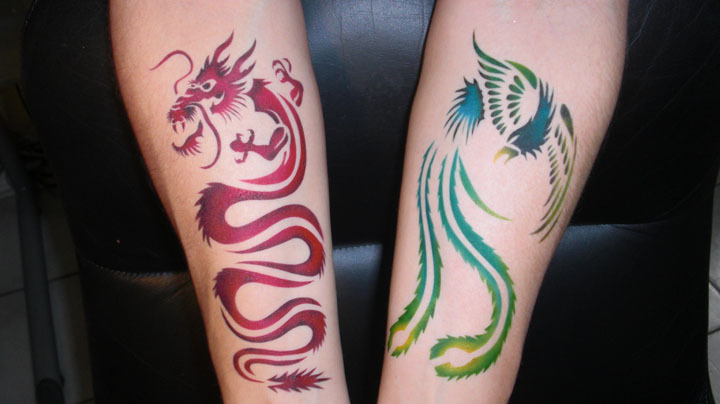 Airbrush tattoos are perfect for your next event! They are ultra fast, appeal to kids as well as adults, and they last up to a week. We have hundreds of designs to choose from and each one is applied by a professional. Whatever your event- company picnics, post proms, fairs, festivals, marketing events- tattoos fit in perfectly.